A memoir written during a trip in the early 1960s, An Armenian Sketchbook is an unusually personal perspective on Grossman's journey through the country, offering reflections on its people and landscapes as well as nationalism and illness. An Armenian Sketchbook, an account of a trip Vasily Grossman made to Armenia in the early 1960s, translated by Robert Chandler and Elizabeth Chandler, was made one of the nominees for this year’s Read Russia Prize, which is awarded for the best translations of Russian literature into foreign languages. The most recent translation of Vasily Grossman’s works by the pair, An Armenian Sketchbook (New York Review Books Classics, 2013) is a short memoir written in early 1962 that was not published during Grossman’s lifetime, and which translator Robert Chandler believes offers a rare glimpse into the writer’s inner world. “There is not a lot of reliable information about Grossman’s life,” says Chandler, who explains that this account of the two months Grossman spent in Armenia in late 1961 is of particular interest since it is his only autobiographical work. Russian writer Vasily Grossman (1905 – 1964) was little-known to British audiences until 2011, when a BBC drama serial based on Grossman's epic novel of Stalingrad, Life and Fate (1959), aired on Radio 4. After that, the novel, first translated to English by Robert Chandler in 1985, became a huge success in the UK, topping Amazon’s bestseller list at one point. Military historian Antony Beevor has named Life and Fate, whose manuscript was confiscated by Soviet authorities in February 1961, the best Russian novel of the 20th century. One of possible reasons reason for the ban on the book’s publication was the unprecedented honesty and courage of the author, who wrote about the Second World War not in the polished, patriotic style of many accounts, but instead poured out all the truth about the hardships and bitterness of life at war. 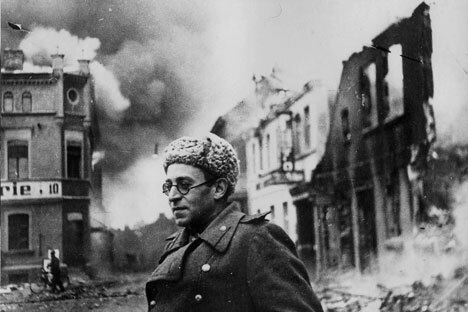 In 1941, Grossman, already 36 at the time, worked as a war correspondent, dispatching articles straight from the front about the battles of Moscow, Stalingrad, Kursk, and Berlin. His novel People are Immortal was among the first and still the best first-hand accounts of the historical feat of the Soviet people. However, after the war, Grossman had to heavily edit his novel about the Siege of Stalingrad, For a Just Cause – it was heavily criticized in the Soviet press. Life and Fate was to become the sequel for this novel, but in 1961, the manuscript was confiscated from the author by the KGB – because of the anti-Stalinist message of the novel. Life and Fate, smuggled to Europe by Grossman’s friends after his death, was first published in Switzerland in 1980. In the USSR, it was released only in 1988, during perestroika. After Life and Fate was banned, Soviet publishers stopped printing all of Grossman’s books. In search of any kind of income, Grossman managed to get a commission to translate an Armenian novel and went to Armenia – just like another Russian writer, Osip Mandelstam had done 30 years earlier, also in a quest to escape the wrath of the Soviet authorities. The Armenian trip, during which Grossman created the series of non-fiction sketches and stories that later became the work that the Chandlers have given the title An Armenian Sketchbook, turned out to be one of his last works – he died of cancer in Moscow in 1964. The Armenian works were published in the USSR only posthumously, in 1967.